The Worst Witch takes me back to my childhood. I remember diving into the books written by Jill Murphy and watching the original TV series on CITV. Fast forward 11 years and now not only is there a new TV series on CBBC, a stage production but the books have been sold over five million times show that this story is still loved by young girls throughout the country. I was excited to see what the production and it's all female cast has to offer in recreating a story that is known by many of its audiences. The production does a spectacular job in transporting the audience to Cackle's Academy from the moment you walk into the auditorium. Cast members are milling between the audience in their roles and take on some immersive stuff before the lights have even gone down. 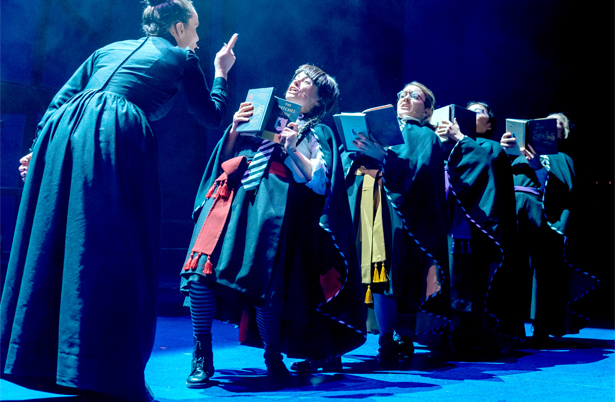 It's not until they all gather on the stage that the story is brought to life and the production is in fact based around a school play written by the Worst Witch herself, Mildred Hubble. Writer Emma Reeves and Theresa Heskins have done a spectacular job in creating something new about the story but also very familiar. The plot does a fantastic job in quickly introducing us to the characters and Mildred, who is an ordinary girl who has found herself in an extraordinary place; a school for witches. This small all-female cast was particularly strong, especially when they have so much to do within the performance. They take on the task of aerial work, puppetry and working with magic as well as singing, dancing and even playing instruments in some cases. 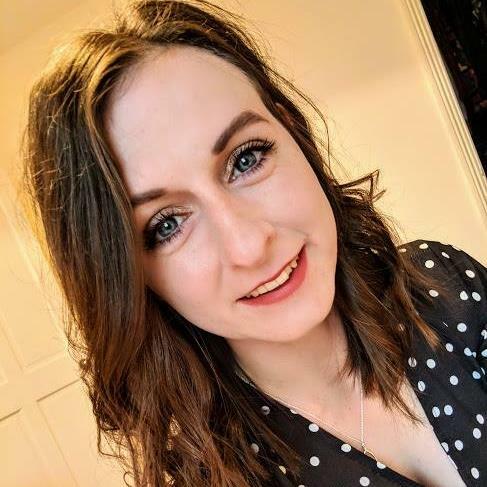 I was particularly impressed with the performances from Danielle Bird as Mildred and Rosie Abraham as Ethel who definitely played the polar opposites to one another well. I have to say Rachel Heaton's portrayal of Miss Hardbroom is an exceptional representation of the character in both of the books and TV series. She was ace! The story includes a sinister turn to make it more interesting for its audience and it does so superbly. By the end of the first half, we are introduced to Miss Cackle's wicked twin and all of a sudden the backstage dramas are taking over Mildred's play and a battle between good and evil looms on the horizon for the characters. The play then massively touches on the idea of working together, despite your differences to overcome challenges. 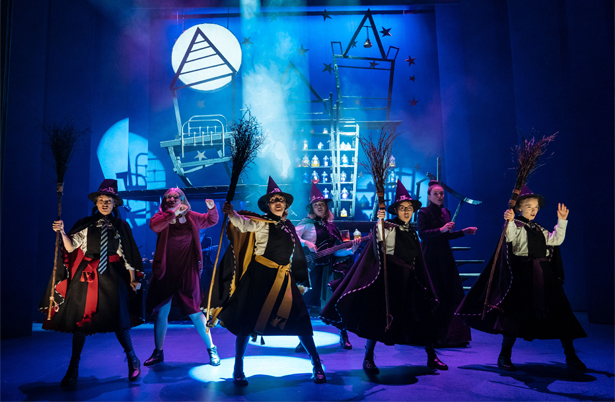 In the Worst Witch, there are plenty of jokes and catchy musical numbers that will definitely have you tapping your feet! 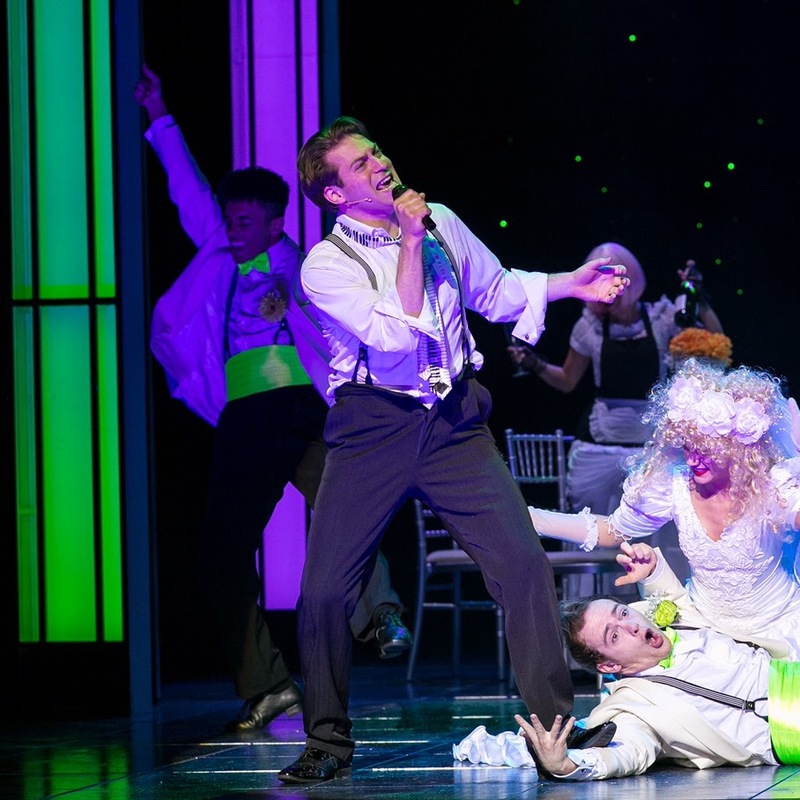 Everything in it moves at a steady pace and captures the audience throughout. One of the ingenious sparks of humour is watching Polly Lister play Miss Cackle and her evil twin at the same time! The instrumental sound effects really enhanced everything that happened on stage and this was excellent. I loved how much magic and fun was incorporated into a production that only lasted around 2 hours. It felt so full and so complete until the end. The multi-level set by Simon Daw provides the perfect backdrop to the Cackle's Academy as well as a home for the instruments. Although the Worst Witch is quite similar to the Harry Potter - this show really stands alone and does a fantastic job in bringing a magical world to life. 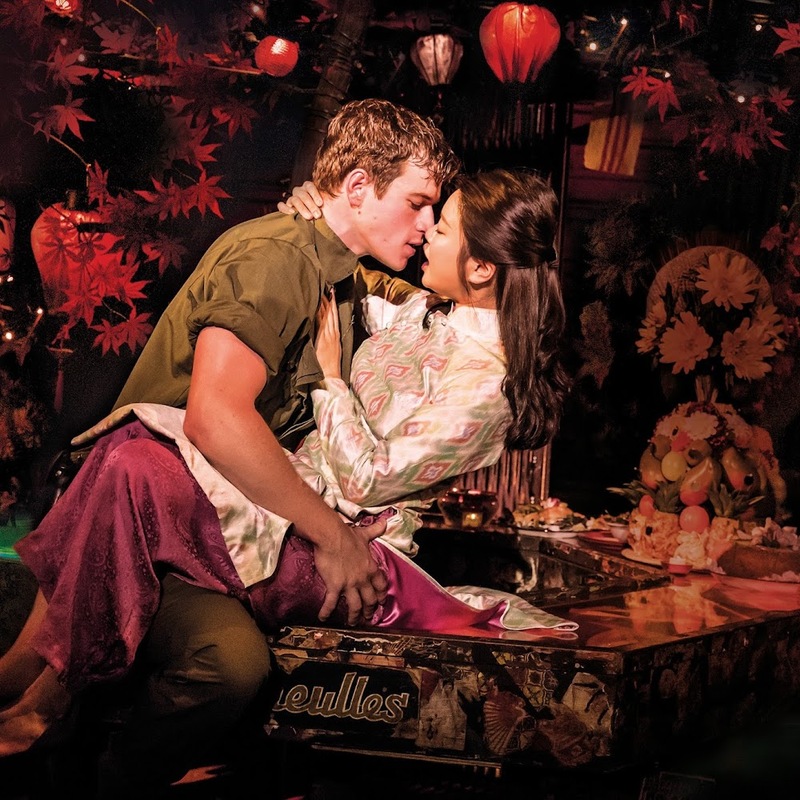 Everything you see on that stage is spellbinding and absolutely accessible for the younger audiences to enjoy. The writing and stage effects will capture those young people's attention from start to finish. However, I enjoyed this production as an adult who absolutely loved Jill Murphy's novels. I would definitely recommend this one to families! 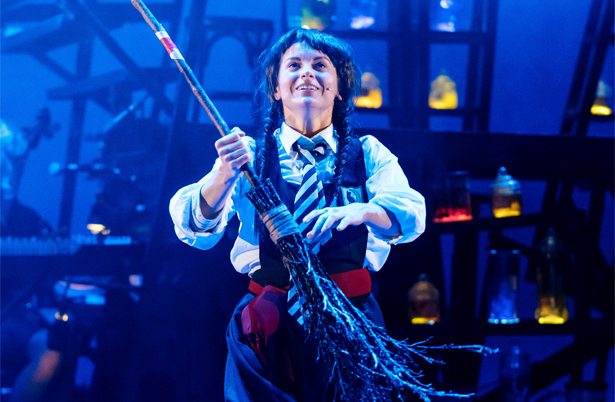 The Worst Witch is performing in theatres around the UK until Jun 2019. You can book your tickets here.